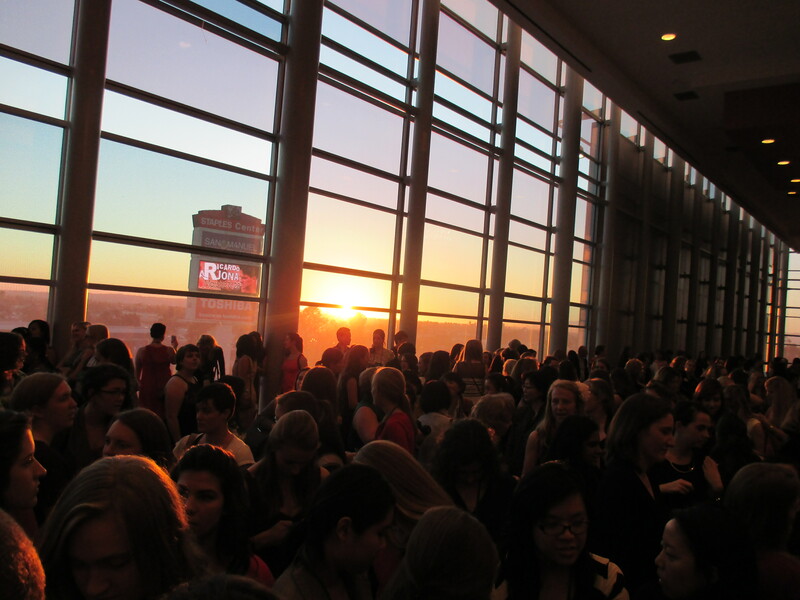 As many of you probably know, the National SWE Conference took place in LA last weekend. Fortunately, several girls from our section were able to attend! Below, are experiences and pictures scattered throughout from just some of our SWE members who attended. Surprisingly, every response they sent me about what their favorite part of conference, was completely different! This just proves that conference has so much to offer and caters to so many different types of people. One overwhelming response I did get, however, was that everyone felt that they bonded with the girls in our section. This is fantastic! Conference is a time to get out and meet new people and share ideas, but it is also a time to become closer with those you have been working with. Having this connection between our members makes us an even stronger section! So check out some of the photos and quotes below. We hope this encourages you to attend WE15 next year in Nashville, TN!